STS6312 The Political Economy of Technoscience. Financialization, Sustainability Transitions, & the Bio-economy in Canada & Sweden: research focusing on the financing of bio-refineries in Canada and Sweden – the fieldwork sites – as an attempt to understand potential techno-economic barriers to the development of the bio-economy (which is an economy in which plant materials are used as substitutes for fossil fuels). 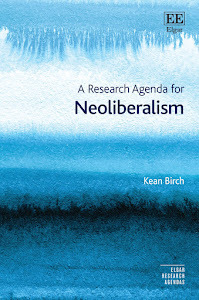 The aim is to examine the implications of financialization to socio-technical and sustainability transitions. Restructuring the Asset Boundary of Research & Innovation: research focusing on the implications of changes to the System of National Accounts in 2008 for (technoscientific) research and innovation, especially as this relates to the assetization of science. Would be ideal for a potential STS graduate student with some background in accounting or similar. Re-imaging Global Governance: research on the rise and role of 'global studies' programs in contemporary global capitalism (e.g. Munk School, Schwarzman College, & many others). They raise a lot of questions about their social, political, and economic role (e.g. reproducing elites, especially global ones)? Who do they attract? And why? How do they position themselves in processes of knowledge production (i.e. research) and reproduction (i.e. graduate education)? Etc. Would be ideal for potential geography or sociology graduate student interested in elites and knowledge reproduction. Affective Economies & Emerging Forms of Rentiership in Social Media Platforms: research on the political economy of "let's play" community, drawing on concepts from autonomist Marxism (e.g. cognitive capitalism, immaterial labour, etc.). Would be ideal for potential STS or sociology graduate students interested in new forms of value creation and techno-social relations.